Customisation de vélo. Pignon 19 dents. Livré complet, prêt à monter avec pignon, écrous, fond de jante, etc. Customisation de vélo. Pignon 19 dents. Livré complet, prèt à monter avec pignon, écrous, fond de jante, etc. Roue Arrière Aluminium 28" 36 Rayons Rétropédalage (635mm). Jante de diamètre 635mm. Customisation de vélo fixie, singlespeed. Livré complet, prèt à monter avec pignon, écrous, fond de jante, etc. Frein rétropédalage. Beach Cruiser20" Rear & Front Wheels with 68 spokes with coaster brake These are 20" rear and front wheels with 68 spokes for beach cruiser bike. Spokes : 68 spokes. Rear wheel : with coaster brake. 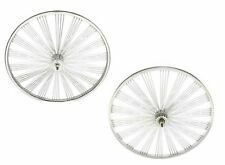 These are 24" rear and front wheels with 144 spokes for beach cruiser bike. Rear wheel : coaster wheel. Hub Width: front 100mm, Rear: 110mm. Weight: 5.75 lbs. This is a new 20" coaster brake rear bike wheel. From May 1. From November 1. st to October 31. 2 0" x 1.75" Fan Steel Front & Rear Coaster Wheel 144 Spoke 14gUCP 3/8 Axle. Ref#: 288707. Weight: 4.95 lbs. These are 26" rear and front wheels with 144 spokes for beach cruiser bike. Beach Cruiser 26" Rear & Front Wheels with 144 spokes Black. 26" 144 Spoke Coaster Wheel 14G Black. Rear wheel : coaster wheel. These are 26" x 2.125 Steel rear and front wheels with 36 12 gauge spokes for beach cruiser bike. Front and rear axles are 3/8". Be a designer, pick up your own bike parts! Hub Spacing: front:100mm, rear: 110mm. Beach Cruiser 26"x 1.75 Rear/Front Wheels with coaster brake. These are 26" x 1.75 alloy rear and front wheels with 36 spokes for beach cruiser bike. Front and rear axles are 3/8". Color available : black, red, blue, green, vanilla, yellow, white, and pink. This is a new 26" coaster brake rear bike wheel. From May 1. From November 1. st to October 31. These are 26" x 1.75 alloy rear and front wheels with 36 spokes for beach cruiser bike. Front and rear axles are 3/8". Beach Cruiser 26"x 1.75 Rear/Front Wheels with coaster brake. Color: Gold/ w black spokes. 26"x 4.0 Rear & Front Fat Wheels with 36 spokes Coaster brake. These are 26" x 4.0 alloy rear and front wheels with 36 spokes for beach cruiser bike. Front and rear axles are 3/8". Hub Spacing: front: 5 1/2", rear: 6 1/2". These are 26" x 1.75 alloy rear and front wheels with 36 spokes for beach cruiser bike. Front and rear axles are 3/8". Beach Cruiser 26"x 1.75 Rear/Front Wheels with coaster brake. Color: Purple / w black spokes. 32 HOLE KT HISTOP COASTER BRAKE HUB. WE USE THEM TO BUILD 700C COASTER BRAKE WHEELS. 18 TOOTH COG INCLUDED. NOW YOU CAN GET JUST THE HUB AND BUILD YOUR OWN WHEEL. We are located in. These are 26" x 1.75 alloy rear and front wheels with 36 spokes for beach cruiser bike. Front and rear axles are 3/8". Beach Cruiser 26"x 1.75 Rear/Front Wheels with 36 spokes- baby blue w silver spokes. 26" x 2.125" Steel Front & Rear Coaster Wheel 36 Spoke 12gUCP 3/8 Axle Chrome. We will do whatever is reasonable to resolve any problem you may have. In the event that you have a problem. Ref#: 292957. Color: vanilla. These are 26" x 1.75 alloy rear and front wheels with 36 spokes for beach cruiser bike. Front and rear axles are 3/8". Beach Cruiser 26"x 1.75 Rear/Front Wheels with 36 spokes. Hub Spacing: front 100mm and rear 110mm". These are 26" x 1.75 alloy rear and front wheels with 36 spokes for beach cruiser bike. Front and rear axles are 3/8". Beach Cruiser 26"x 1.75 Rear/Front Wheels with coaster brake. Color: Brown / w black spokes. These are 26" x 1.75 alloy rear and front wheels with 36 spokes for beach cruiser bike. Front and rear axles are 3/8". Beach Cruiser 26"x 1.75 Rear/Front Wheels with coaster brake. Color: Pink / w black spokes. 26" x 45mm Alloy Coaster Wheel 12G Black. 26" x 45mm Alloy Coaster Wheel 12G Black. We will do whatever is reasonable to resolve any problem you may have. In the event that you have a problem. Weight: 4.15 lbs. 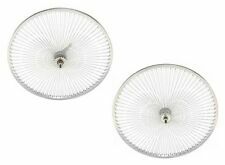 26" x 45mm Alloy Coaster Wheel 12G Silver. 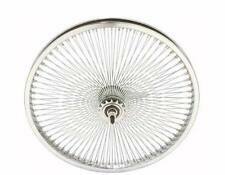 26" x 45mm Alloy Coaster Wheel 12G Silver. We will do whatever is reasonable to resolve any problem you may have. In the event that you have a problem. These are 20" x 1.75 alloy rear and front wheels with 140 spokes for beach cruiser bike. Front and rear axles are 3/8". 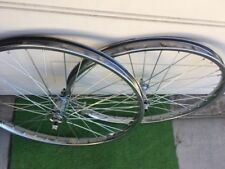 20"x1.75 Front & Rear-Coaster Wheelset w/ 140 Fan Spokes. Fit tire: 20"x2.125 ~2.3". Front and rear axles are 3/8". Weight: 3.80 lbs. Weight: 4.75 lbs. 26" x 1.75" Alloy Coaster Wheel 36 Spoke 14gBlack 3/8 Axle Black. 26" x 1.75" Alloy Front Wheel 36 Spoke 14gBlack 3/8 Axle Black. We will do whatever is reasonable to resolve any problem you may have. Beach Cruiser 26"x 1.75 Rear/Front Wheels with coaster brake. These are 26" x 1.75 alloy rear and front wheels with 36 spokes for beach cruiser bike. Front and rear axles are 3/8". Color available : Brown,black, red, blue, green, vanilla, yellow, white, and pink. Beach Cruiser 26"x 1.75 Rear/Front Wheels with coaster brake. These are 26" x 1.75 alloy rear and front wheels with 36 spokes for beach cruiser bike. Front and rear axles are 3/8". Color available :Grey, Brown,black, red, blue, green, vanilla, yellow, white, and pink. 26" x 2.125" Steel Front & Rear Coaster Wheel 36 Spoke 12gBlack 3/8 Axle Black. 26" x 2.125" Steel Front Wheel 36 Spoke 12gBlack 3/8 Axle Black. 26" x 2.125" Steel Coaster Wheel 36 Spoke 12gBlack 3/8 Axle Black. We will do whatever is reasonable to resolve any problem you may have. FOR COASTER BRAKE HUBS. STRAP IS TO HOLD THE BRAKE ARM IN PLACE. PRICE IS FOR ONE STRAP. traditionnel bicyclette arrière ROUE avec Rétropédalage FREIN 26 x 1-3/8 "
ROUE ARRIÈRE DE BICYCLETTE TRADITIONNELLE AVEC FREIN À RÉTROPÉDALAGE. -18 DENTS FREIN À RÉTROPÉDALAGE (PÉDALE ARRIÈRE). MPN Does Not Apply. EAN Does not apply. Coaster sertie des roues de 26 à nero (cercle noir, noir moyeux, rayons noir) moyeu arrière frein à rétropédalage. Complet avec pneus 26 x 2 125. Pneus 26 x 2 125 inclus. Frein à rétropédalage Wheelset, avant arrière avec frein à rétropédalage hub noir. L’ensemble inclut des roues avant et arrière 26 avec frein à rétropédalage. Frein à rétropédalage-frein. Via Verrotti 37/Bis Montesilvano (PE) Italie. Coaster sertie des roues de 26 à nero (cercle noir, noir moyeux, rayons noir) moyeu arrière frein à rétropédalage. Peut être équipé pneus 26 x 3.0. Peut contenir jusqu'à 26 x 3.0 pneus. Frein à rétropédalage Wheelset, avant arrière avec frein à rétropédalage hub noir. Paire de roues à rayons en noir, noir, noir pédale de frein moyeu avant moyeu. Frein à rétropédalage-frein. Frein à rétropédalage essieu monté blanc avec rayons noirs et moyeux. Frein à rétropédalage-frein. L’ensemble inclut avant et roue arrière avec frein à rétropédalage. Frein à rétropédalage-frein. Via Verrotti 37/Bis Montesilvano (PE) Italie. Traditionnel Vélo Roue Arrière Avec Frein à Rétropédalage 26 X 1-3/8"
TRADITIONAL BICYCLE REAR WHEEL WITH COASTER BRAKE. - 18 TOOTH COASTER (BACK PEDAL) BRAKE. L’ensemble inclut des roues avant et arrière 20 avec frein à rétropédalage. Frein à rétropédalage-frein.